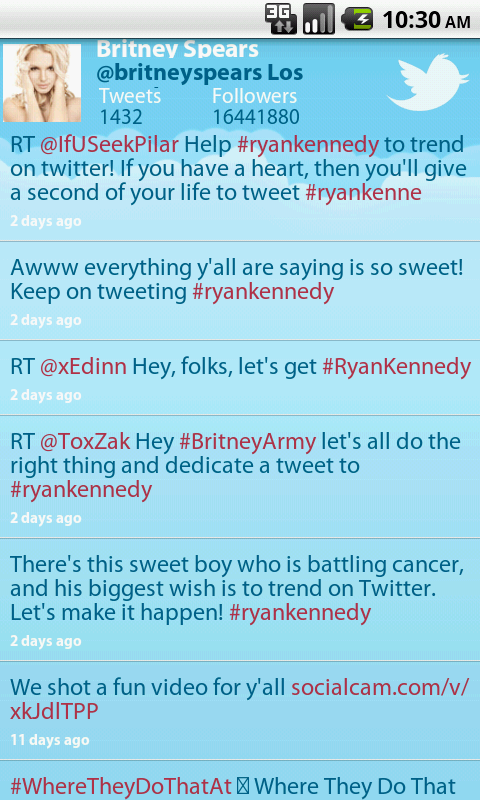 Find out what’s going in the life of this amazing pop star with “Britney Spears” Tweets app! Read everything posted by this great singer, songwriter, dancer, actress, record producer, author, fashion designer and video director and keep up with the latest happenings in her life! 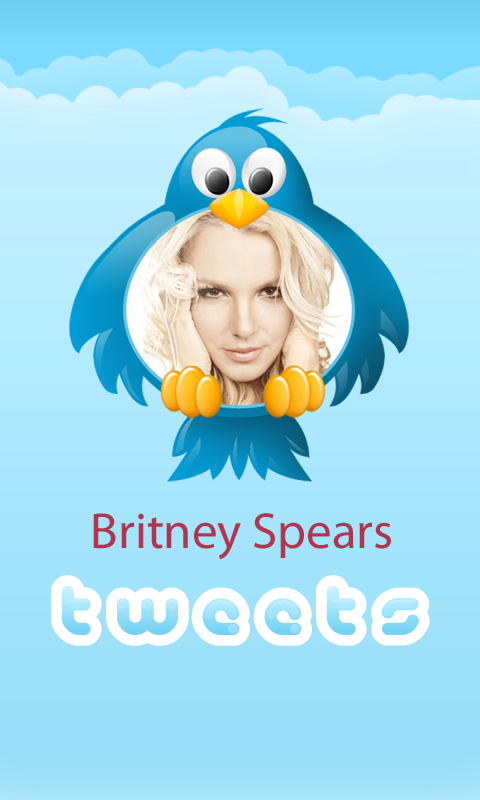 - Browse and read tweets posted by Britney Spears with only a few touches and without signing up for Twitter! - Follow her on your Android phone! - Watch her photos and videos and find out what’s going on in her personal life! - Be the first one to find out about upcoming singles, albums, concert, tours and future plans and projects! - Receive notification each time she posts something new! Britney Jean Spears is an American recording artist and entertainer. Born in McComb, Mississippi, and raised in Kentwood, Louisiana, she began performing as a child, landing acting roles in stage productions and television shows.